Relationships are the heart of your business so it makes sense to use a flexible CRM that’s uniquely tailored to meet your needs, works like you work, goes where you go, and connects with the apps you like. Act! v20.1 The Next Generation is Here! Unlimited custom tables…Customized Act! 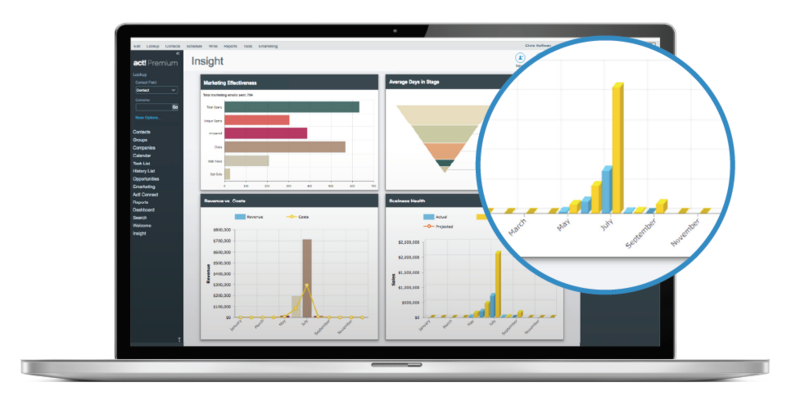 Insights dashboard…Improved compatibility with Outlook and Google. Act! works like you work to guide decision-making and provide visual snapshots of real-time metrics for sales productivity and performance, sales pipeline health, top performing products and more! Ready to get started? Subscribe to Act! here. Manage Act! 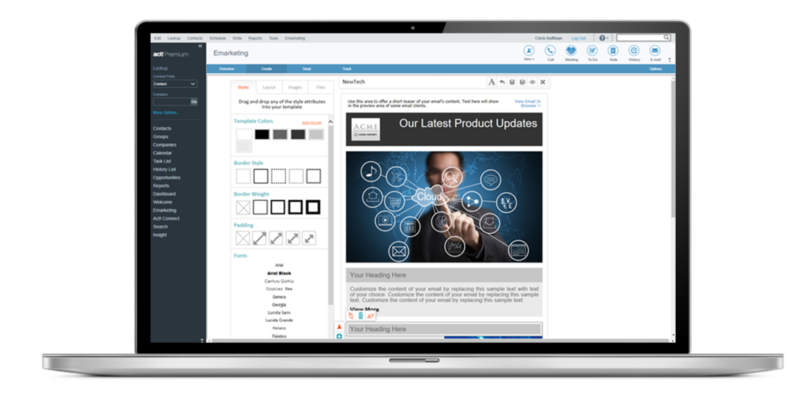 emarketing campaigns through an intuitive, optimized workflow in Act!. Everything you need to create, send, and track campaigns is available in five newly designed views—Overview, Options, Create, Send, and Track with full-screen Call Lists. Give your weary fingers a break! Ask for key Act! contact and calendar details, then sit back as Alexa tells you what you want to know. No need to search your laptop or mobile device to stay informed! Interact with Act! 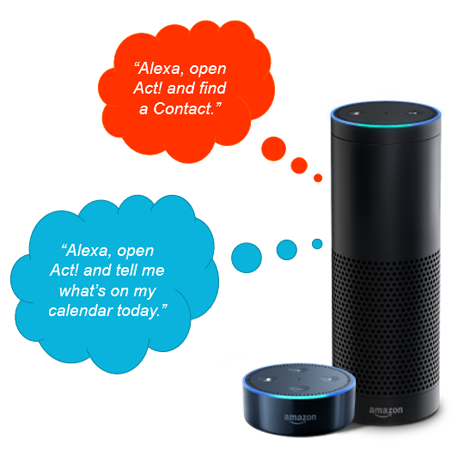 through simple, verbal requests to Amazon Alexa via Ask Act!—a leading edge voice integration available to active Act! Premium subscribers. Act! likes what you like way beyond Outlook, Google and Excel. 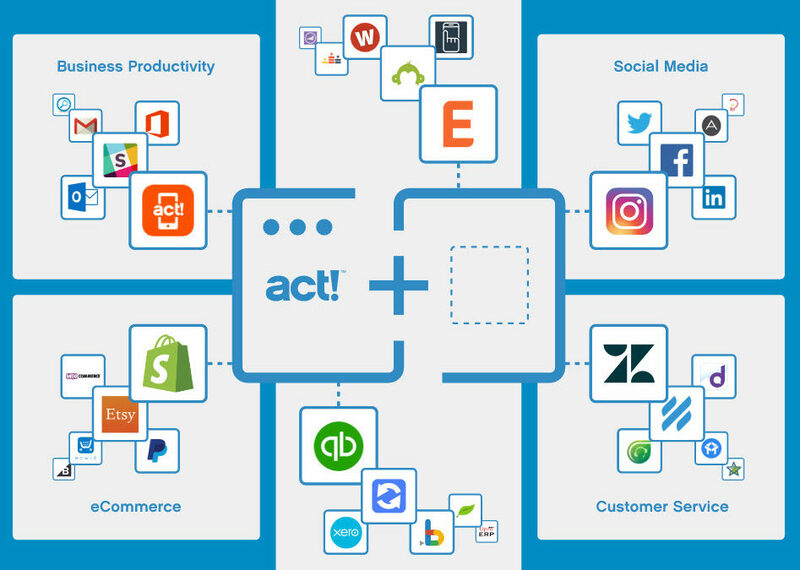 Connect with QuickBooks, Slack, Online Shopify and hundreds more popular apps that extend the power and reach of Act! Premium—a valuable subscriber benefit! Get started with a few simple steps, then watch as Act! Connect automatically moves info between Act! Premium and the apps of your choice. Let Act! Connect do the heavy lifting, while you enjoy the benefits of enriched customer data. Ready to get started? Subscribe to Act! here. Goes where you go, anytime, anywhere and now includes maps! Get driving directions to a contact, find nearby places of interest, and navigate to the location of your meeting with ease. Act! Companion also includes a number of new updates since its release with v19.